A man charged in a failed terror plot against the New York City subway system has pleaded not guilty. 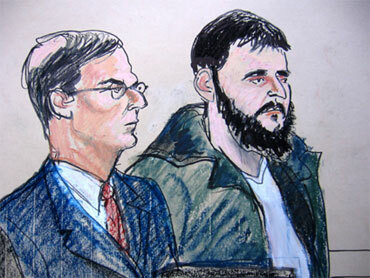 Adis Medunjanin entered the plea Friday in federal court in Brooklyn. The Bosnian immigrant had previously pleaded not guilty to charges he sought to join two former high school classmates from New York in what prosecutors called three "co-ordinated suicide bombing attacks" on Manhattan subway lines. A revised indictment unsealed last month added new charges alleging a high-ranking al Qaeda operative had recruited Medunjanin, Najibullah Zazi and Zarein Ahmedzay in 2008 to receive training from the terror network in Pakistan. Zazi and Ahmedzay have pleaded guilty and are awaiting sentencing.